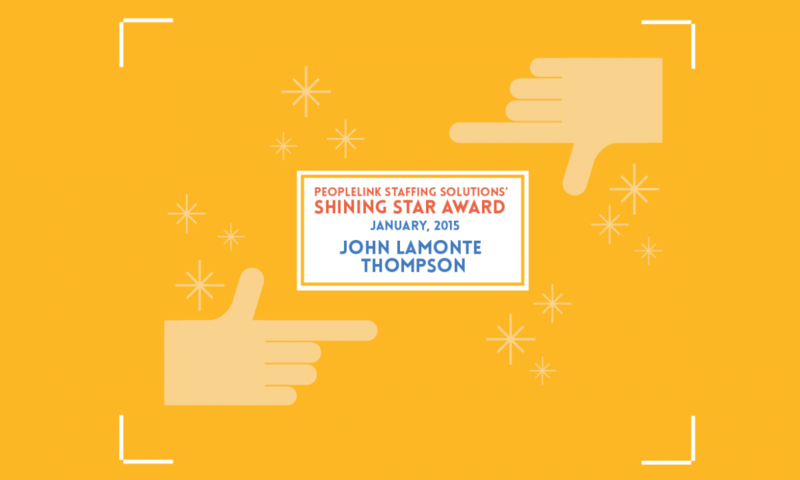 Peoplelink is pleased to announce that John Lamonte Thompson has been chosen as our January Shining Star employee. John is a Machine operator at Precision Metalwork. After reporting to the Goodlettsville branch for nearly a year, John has just been hired on permanently at Precision Metalwork. As a Machine Operator, John fabricates steel parts for automotive companies. He runs a turret press and inspects the parts after completion to ensure the highest quality for customers. According to John’s supervisor, his work quality is excellent and he is truly invested in his job. While on the job, John’s favorite aspect of this position is changing the tools to the machines due to the importance of selecting the correct tool and installing them accurately in order to avoid waste. In his free time, John plays bass for his own church and several other local churches. 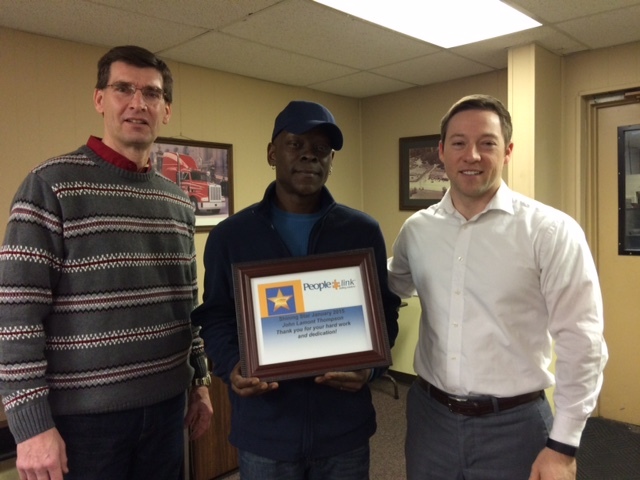 Congratulations to John for being Peoplelink’s January Shining Star employee and for becoming a permanent employee of Precision Metalwork! Find your shining star! Contact Peoplelink at 574.232.5400.